The Insurance and Reinsurance Report offers timely and comprehensive analysis of legal and regulatory developments, news, and other critical information impacting the global insurance and reinsurance industries. Our intent is to provide an essential daily resource for claims professionals, executives and key decision-makers, corporate risk managers, legal professionals, and agents and brokers to find practical insight on the insurance and reinsurance issues that affect their day-to-day operations as well as their long-term strategies. We are proud that this mission has been recognized by the LexisNexis Insurance Law Community, which rated The Insurance and Reinsurance Report among the Top 50 Insurance Blogs in the world each time the list has been published. Our blog was also included in the Insurance Quotes website’s list of 15 top blogs written and maintained by insurance professionals. The Insurance and Reinsurance Report is written and published by Goldberg Segalla’s Global Insurance Services Practice Group, an international team of insurance and reinsurance lawyers that have experience handling some of the most complex and high-profile insurance and reinsurance challenges in the world. We cover topics that arise across the United States and around the globe, including within our 20-office footprint spanning New York, Illinois, California, Florida, Maryland, Missouri, North Carolina, Pennsylvania, New Jersey, Connecticut, and the United Kingdom, as well as Bermuda, Ireland, and other critical areas of the insurance and reinsurance market. Our editorial team lives to talk insurance and reinsurance. We welcome you to join the conversation through commenting on our posts or to send us your feedback on our blog or the topics covered here. Please feel free to contact one of our editors listed below or send us your thoughts by clicking on the Contact tab above. 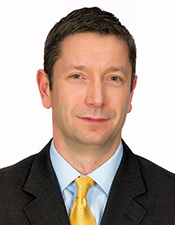 Jeffrey Kingsley co-chairs Goldberg Segalla’s Global Insurance Services Practice Group across the firm’s 19 offices, including in New York and London. He maintains an international practice with a focus on matters involving insurance and reinsurance coverage, commercial and regulatory issues, extra-contractual liability arbitration and litigation, and environmental litigation. 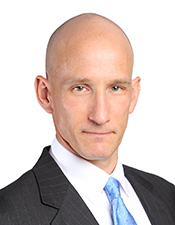 As a leader in Goldberg Segalla’s reinsurance practice within the firm’s Global Insurance Services Practice Group, he has extensive experience handling and consulting clients on complex reinsurance allocation issues, arbitrations, transactional issues, and disputes involving the follow-the-fortunes doctrine. Jeff provides comprehensive legal representation for Fortune 500 companies, insurers, reinsurers, and other businesses to help them manage risk at every stage of business and protect their interests when disputes may arise. Jeff has authored articles on insurance and reinsurance topics for Reinsurance, The Review, and other publications, and he is a regular presenter at premier national and international conferences. He is a co-editor of Goldberg Segalla’s Reinsurance Review newsletter. Christian Cavallo is a seasoned insurance coverage litigator who represents insurers in high-value cases in the state and federal courts of New York and New Jersey. 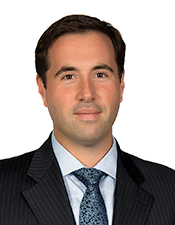 Chris’ practice involves drafting coverage opinions and memoranda analyzing his clients’ rights and obligations under complex insurance contracts and providing advice to claims personnel and assigned counsel concerning a wide variety of coverage issues. Chris also regularly advises his insurance clients on a wide variety of non-litigation matters, including internal investigations, claims handling, underwriting, policy drafting, and reserve formulation. Sarah Delaney is a long-time member of Goldberg Segalla’s Global Insurance Services team. Her practice concentration is on insurance coverage analysis and litigation, professional liability, and appellate practice. Sarah’s coverage experience covers a very broad range, including life, health and disability; bad faith; personal and advertising injury; intentional torts; pollution claims; aviation and fraud. She handles all aspects of insurance litigation and provides complex coverage analysis. Sarah also assists large domestic and multi-national companies in assessing insurance needs and implementing risk management programs. 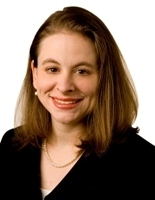 Sarah is editor of CaseWatch: Insurance, Goldberg Segalla’s monthly insurance coverage newsletter, as well as publisher of the firm’s Life, Health, Disability, and ERISA Quarterly newsletter and a regular contributor to the firm’s Legal Update. With a practice that focuses on insurance coverage and other insurance-related litigation, Louis Kozloff — a skilled counselor who combines advocacy with sound business judgment — represents insurance companies in coverage issues and bad faith disputes, including commercial general liability, directors and officers, errors and omissions, and first-party property claims. Lou also defends complex liability claims for insureds and has nearly two decades of experience in the insurance sphere.